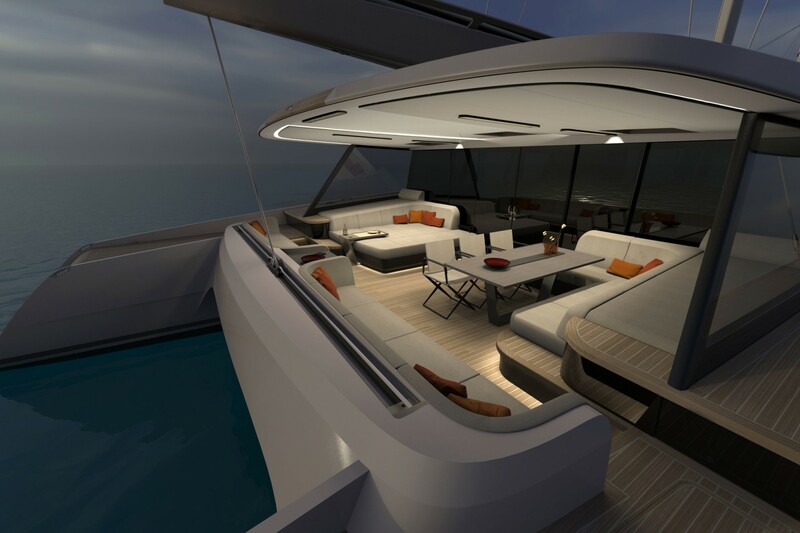 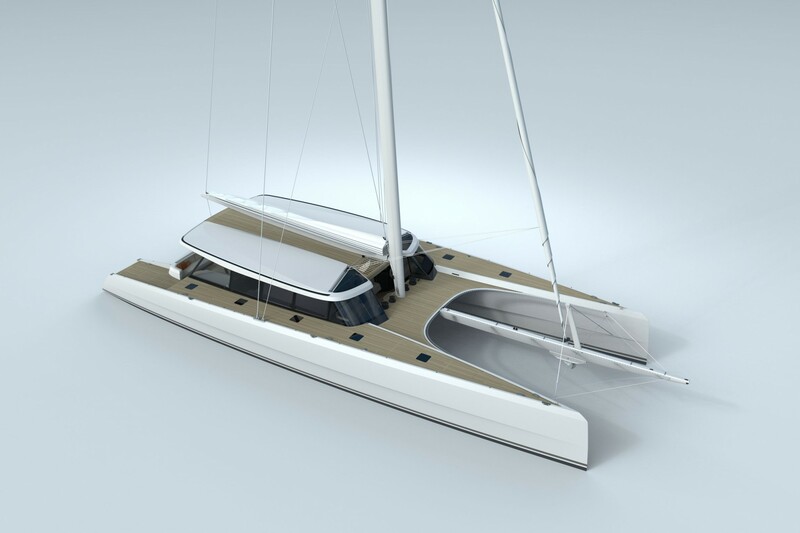 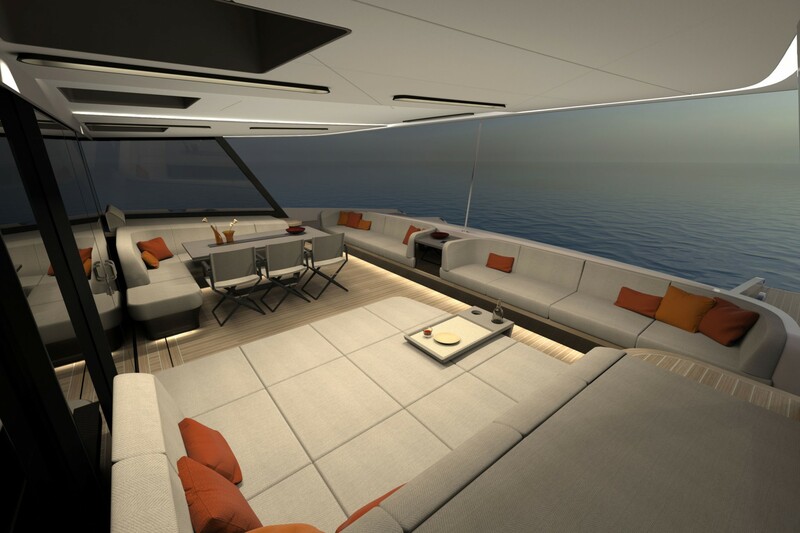 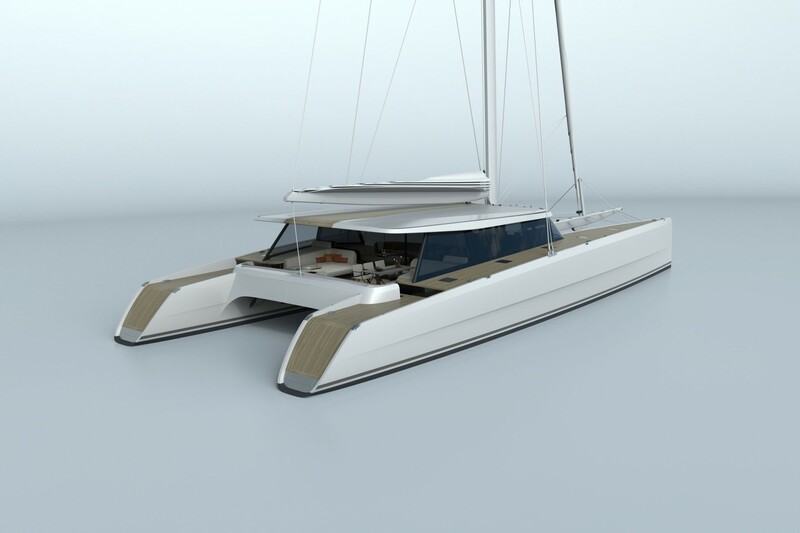 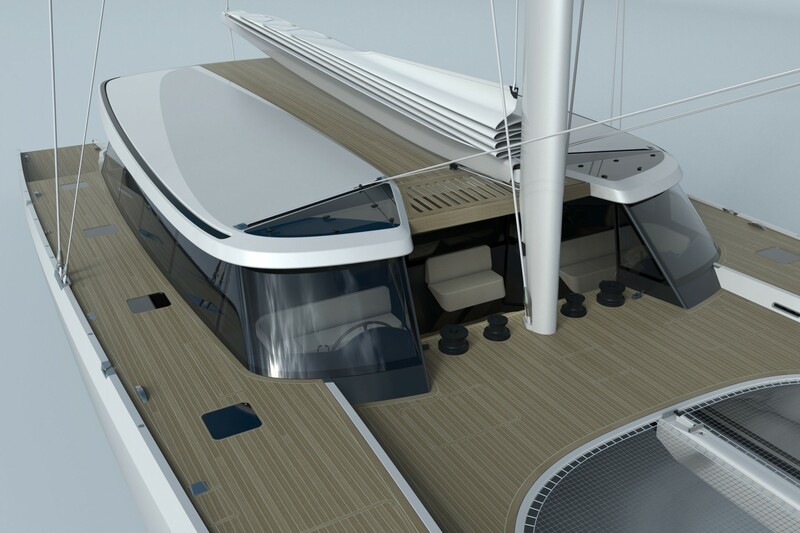 World’s first Adventure Vantage Catamaran ready for build – with bespoke motorcycle locker. 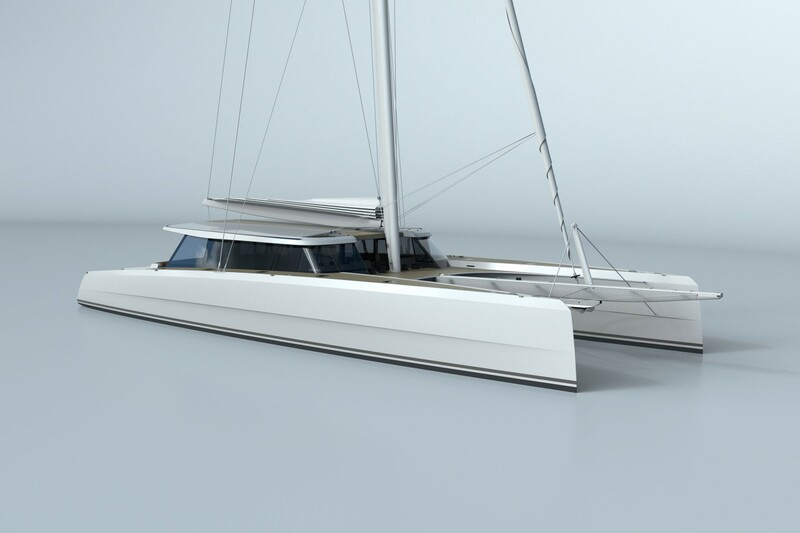 British-based Vantage Catamarans is proud to announce that the first of its new Vantage 86 explorer catamarans has reached the final stage of its unique design and is ready for build. 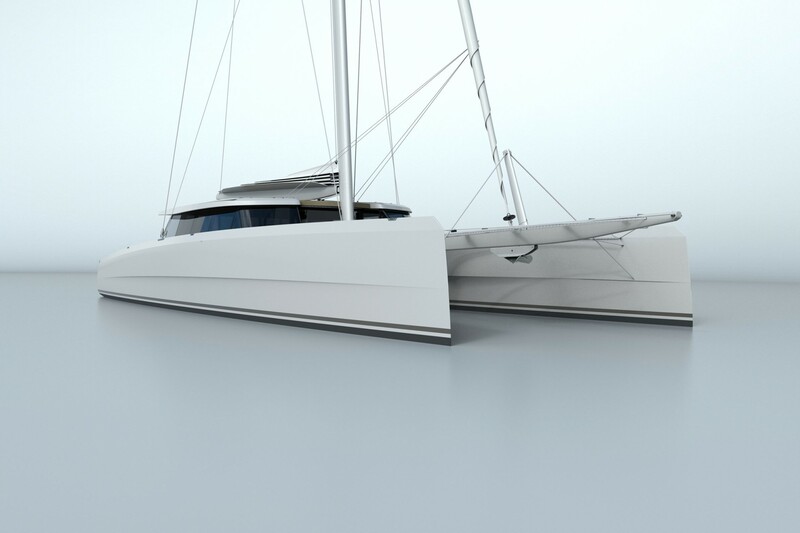 Using the best composite production facility in the world it will be the most technologically evolved catamaran on the market. 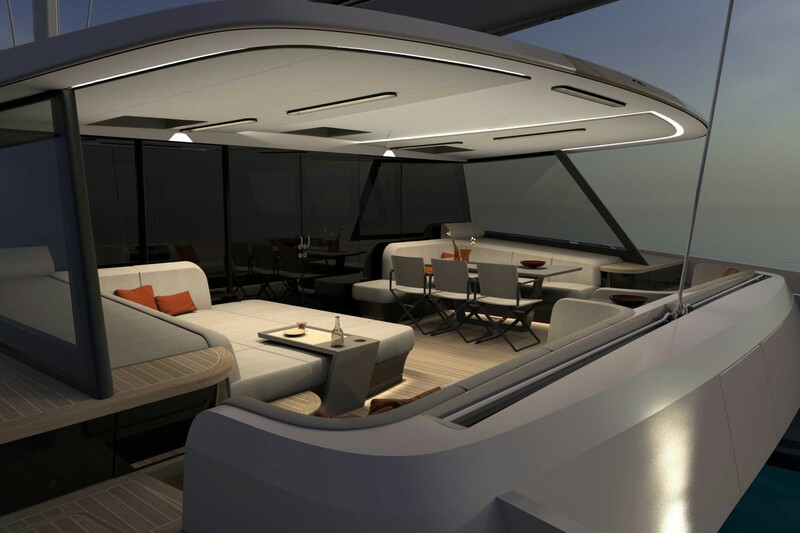 It will also be the first vessel of its kind to host a giant toy locker specially commissioned for its motorcycle enthusiast owner. 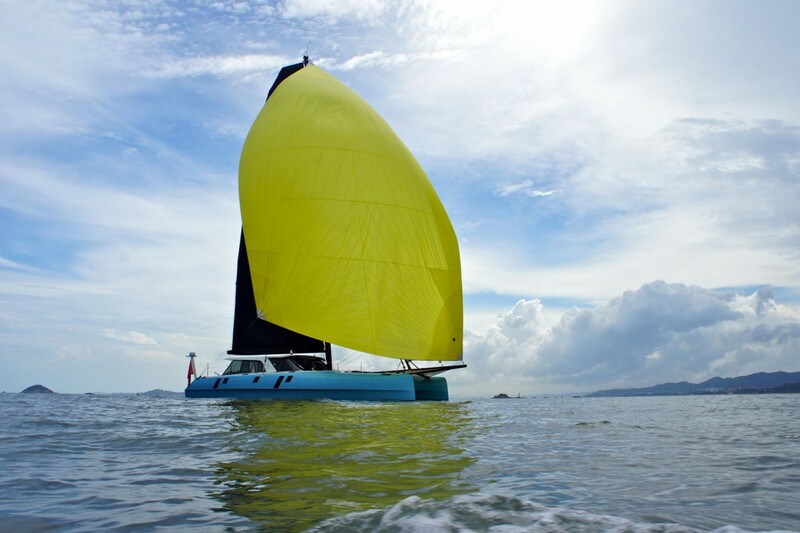 Sporting a proud history of being at the cutting edge of Offshore Racing Multihull development, the Vantage design team, comprising Nigel Irens Design (NID) and Christophe Chedal Anglay (CCA) has fused its specialist expertise with the particular requirements of the catamaran’s intrepid British owner in order to create an adventure vessel that will enable him to reach the most remote locations and cross islands by motorcycle. 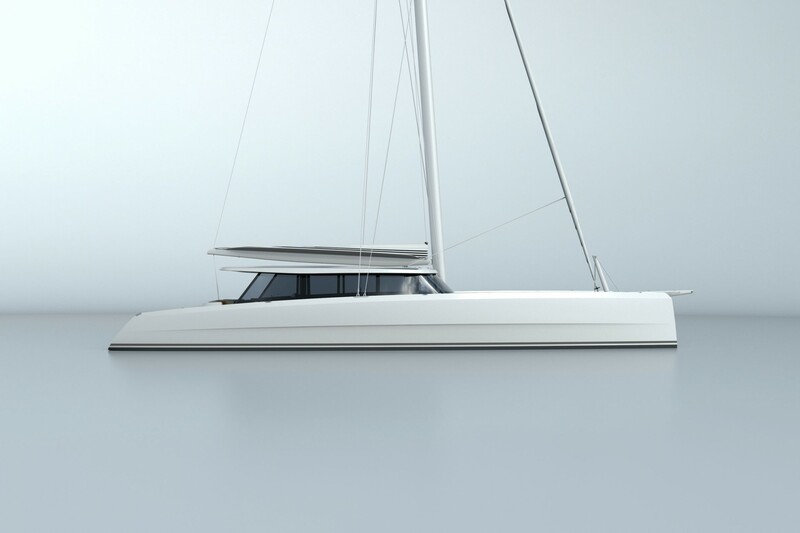 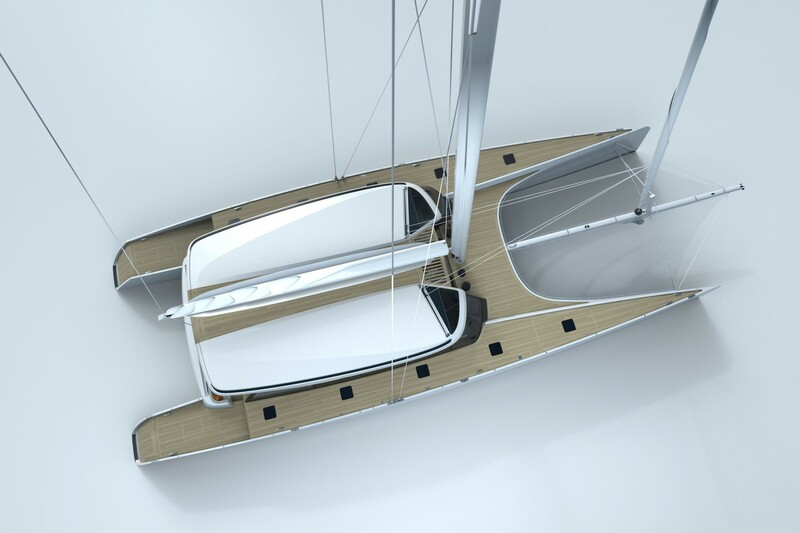 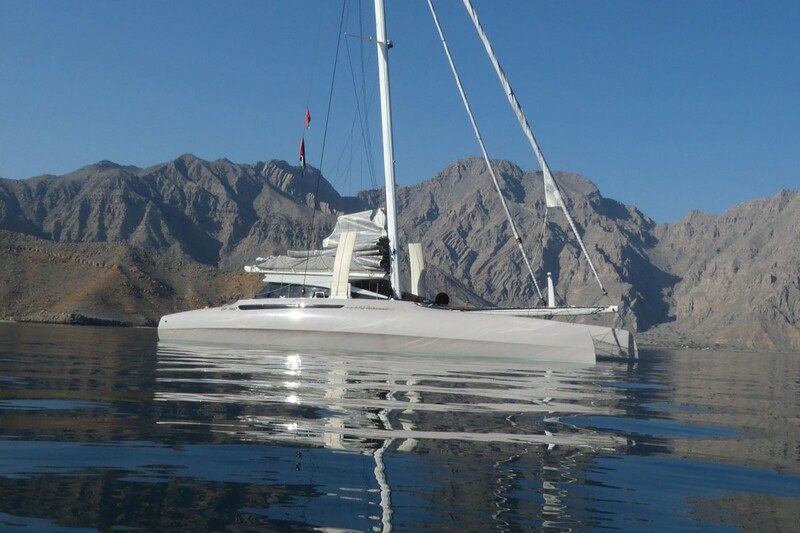 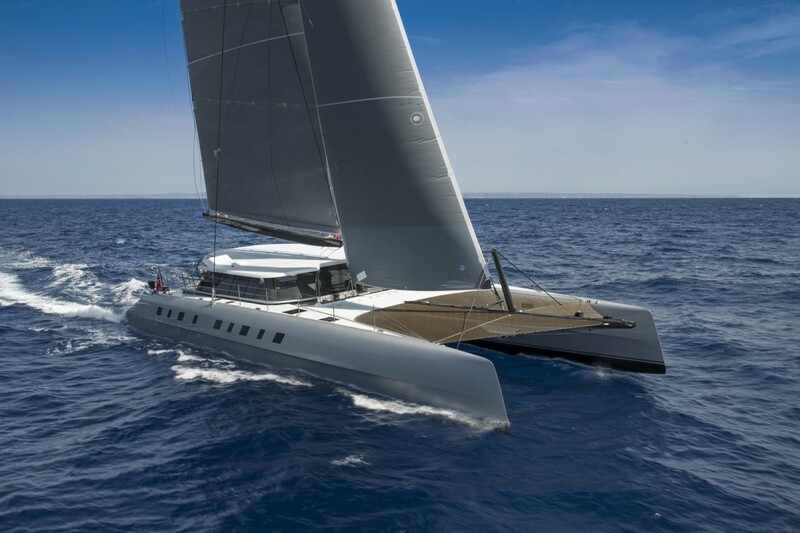 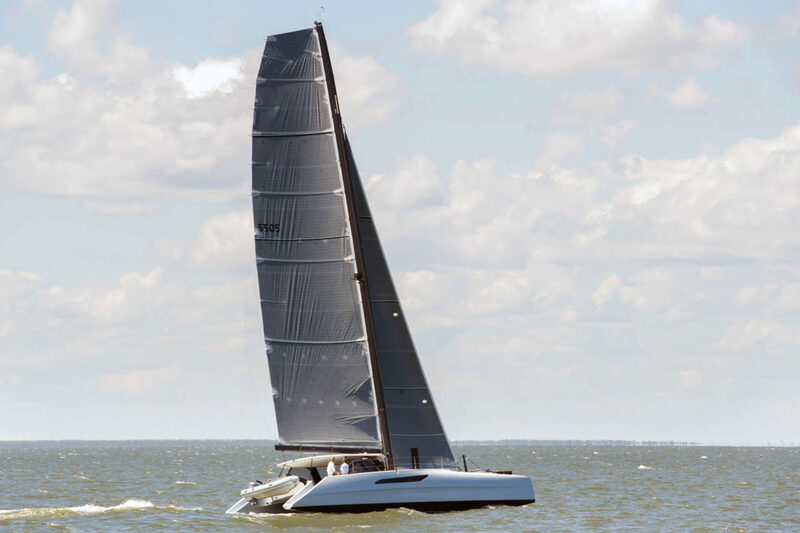 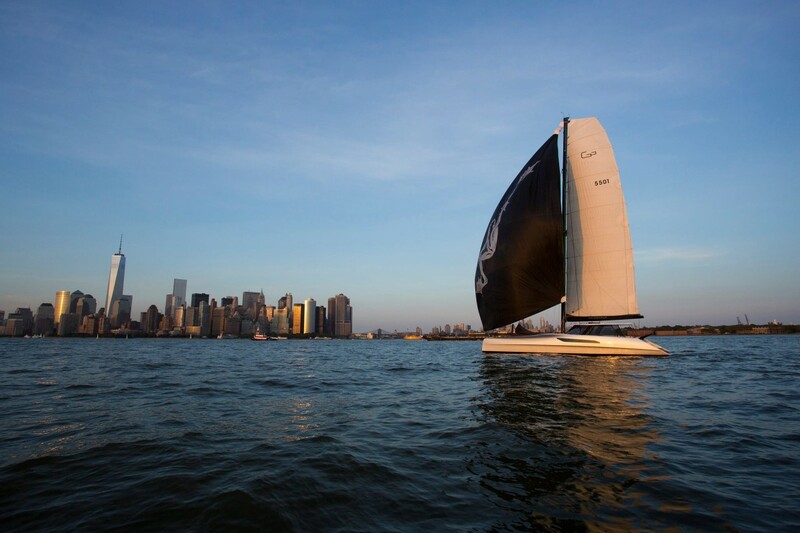 The Vantage 86 will also be the longest, lightest and fastest sailing yacht ever built that conforms to the MCA code for small craft engaged in commercial operations, ensuring profitable returns and therefore greater value to any prospective owner.